This weekend, when I went up to Belfast to look after my mum, my dad had left a big box in my room. I looked inside, and found my life story. The smell of age and nostalgia mingled with tissue thin paper and ink. Every single card, every single letter, every single postcard, every single note I have ever written to my mum was inside…. 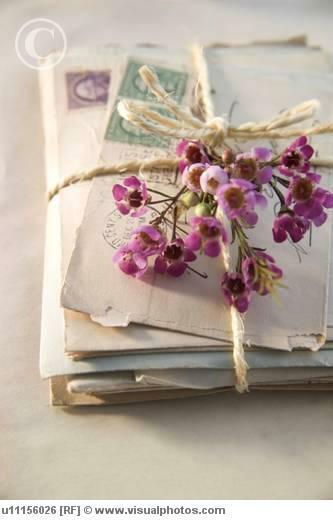 stories laid bare, love notes squeezed between exploits, happy holidays, dulls days…all bound together in memory. I have written to my mum all through my life – through all my adventures, through all my education, through all my relationships, through all my parenting. And she kept every word. I spent a few hours just putting them into piles – the piles I realise that represent the phases of my life – my childhood – sweet notes of innocence and a burgeoning imagination; my year out in Pakistan and India as a naive 18 year old – full of longing for home, and excitement at the world; University – an adult emerging amid learning and independence; working life in London – lots of money requests and false starts on the job front; my two year travels – the spendour, the adventure, the romance! ; and finally, my life in Dublin – my first flat, planning our wedding, our first home, my beautiful girls. Reading them I realise how honest I was, how at ease we were with each other, how accepting we were, how involved my parents have been in my life. Not only does that box give me a unique diary of my life – in my own words, it is like a gift to me in this time as I grieve for my mum, and learn to live my life without her involvement. I still write to her every week – I take photos of my days with the girls, and I embed them in a letter with a commentary, and I email it to dad who prints it out and reads it to her. They are slowly filling a box beside her bed – and in time too they will be the diary of this phase, and a reminder that even though she cannot be the person she was, she is still, and always will be, involved in my life. This entry was posted in letters, mother, stroke. Bookmark the permalink.